Once again we return to a group stage for the round of thirty-two. Each group consists of four players; the group selection event determines their placement in each group. Each group must go through a double elimination format to determine which players will advance and which players are eliminated. If a player can get two wins before he gets two losses, then he advances to the next round. If he can’t, then he is eliminated. Two players from each group of four will have the chance to continue to fight for this season’s title. With the group stages being done, players that have advanced continue on into the BoX format. For the Round of 16, matches are determined by the group advanced (A-H) from and the spot advanced in the group (1 or 2). The first seed of Group A plays the second seed of Group E, and the second seed of Group A plays the first seed of Group E. Likewise, the first seed of Group B plays the second seed of Group F, and so on so forth. All matches are to be played as a split Best of 3, with the first set played on one week and the remaining set[s] the week after. The first-place advancing seed in each matchup gets to thumb down a map, excluding that map from his match. For the Round of 16, the following four maps (Monte Cristo, Dante's Peak SE, Circuit Breaker, and La Mancha) are used, and the missing map in a match is the one that was thumbed down. The matches for the quarterfinals are decided by KeSPA ranking. Of the eight who advance from the Round of 16, the first-ranked plays the last-ranked, second-ranked plays the second-last-ranked, and so on and so forth. All matches are Bo5s, with the first sets of each match being played on May 12th, and the other sets the week after. 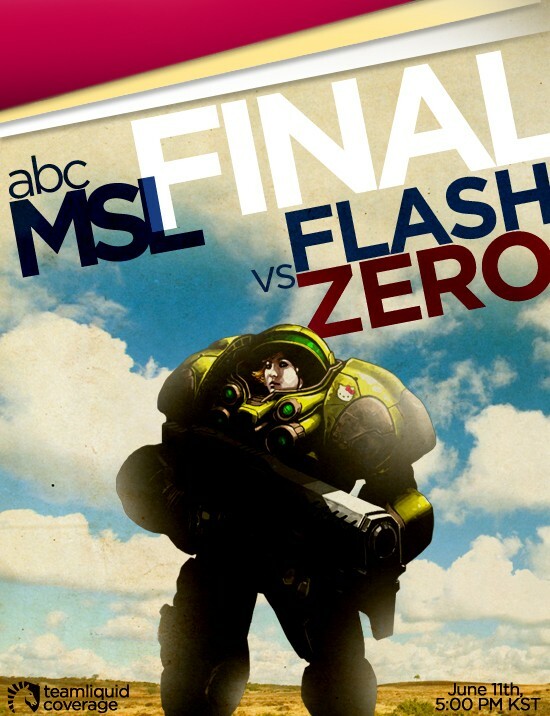 With this third MSL, Flash earns his Golden Badge and ties NaDa's record of six individual league titles. group d....= everyone will be in front of their computer and TV. and i just realized Stars have 5 player play in MSL this time. Group D is going to be absolutely insane. Group D is probably THE best (or worst?) group in the history of starleagues..
worth staying up for at 3-4am even on a school night..
its A B C,easy as 1 2 3. <+LighTofHeaveN> Ppl call this "Indigo Children"
Damn! I'mma have alot of SC and SC2 to watch this month, Sweet!!!! Was watching the past winners, and it's crazy how Savior made 5 finals in a row and Nada won three back to back. Real mens play Zerg.. Startale fighting. Go Stork! This is finally your MSL! And go Bisu! So far this month he is showing that he can handle the people of his group. With our two dragons playing in the finals, of course. just logged 21/4 into my calender. gonna be there live. Super excited for this MSL with Group D and all. Can't wait until the 14th when Group A plays. Here's hoping that Tyson gets out of his group! #1 Jaehoon Fan! 김재훈 화팅! Wooooow, thank god we'll finally be seeing something more than WL once a week. Waited so long for this. Every group is definitely watchable except for maybe G (unless your into THAT kind of stuff).